Just back from Edinburgh, where I saw 20 shows in 5 days. OK, 19. We were 2 minutes late for one, and missed out. Two of the shows were at the Book Festival, one at the International Festival, and the rest on the Fringe. I also gave a reading at the Fruitmarket Gallery with some friends. This was the view from our B&B. Yep, that’s Arthur’s Seat, which we summarily failed to climb despite plans for a 7am ascent. I’ve been coming to Edinburgh every August for about six years (including one year to produce a play) and it’s always thrilling to experience the organised mayhem of the festivals. The city throngs with tourists from all over the world, students flyering for shows with increasingly desperate promises of “five star reviews” and “it’s actually quite funny”, producers and arts types with their fancy lanyards, performers in various stages of costuming rushing from sweaty basement venues. I love it. This year Sarah and I sat through over 24 hours of theatre and as ever it was a real hotchpotch of the good, the great, the inspiring and the ill-conceived. We enjoyed plays about growing old and aerial displays that captured the fragility and absurdity of human experience. We experienced total darkness as well as total tedium. Political theatre seems to be having something of a resurgence: from police brutality to an independent East Anglia; from tax evasion to the Quebec liberation movement. Each piece made its own way through these, and other ideas, and the best were those able to create a personal, visceral experience that felt embodied in the space of the theatre. The least effective plays were those that presented a doctrinal attitude, rather than being open-ended, complicated or deliciously ambiguous. * I declare a bias here: I am Luke’s editor and will be publishing this play in Feb. Still, it’s bloody good. 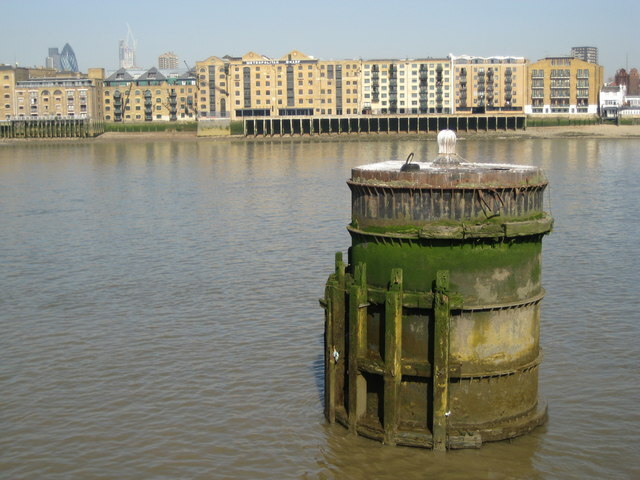 After nine years living in Aldgate, in the heart of it all, my wife and I have moved south of the river to the sleepy Thames-side ‘village’ of Rotherhithe. I think it may prove to be the best thing we’ve ever done. It’s got some great pubs, lovely walks, and a deep and complex history. I had a piece about the lost islands of Sussex printed in this fanzine published by Caught by the River in association with the Island Review. It’s edited by The Island Review’s editor Mallachy Tallack. You can still read my original article online here. Another anthology is out – this one co-edited with Martin Kratz. 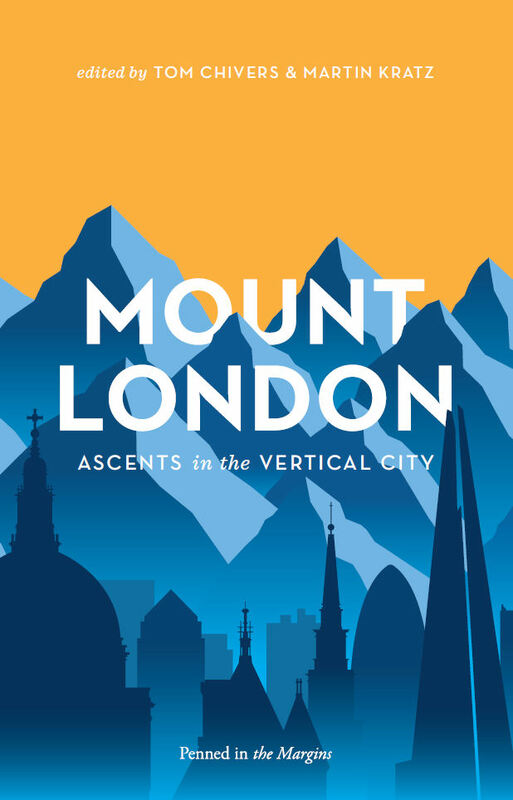 The subtitle is ‘Ascents in the Vertical City’. It’s a great read! I was invited to give a 45 minute talk/reading at this splendid local festival in the north of Scotland dedicated to walking. Before I did my slot, we had the opportunity to walk out onto the bleak, beautiful sand dunes of the Moray Firth with a walking artist. It was a magical experience. From the orchid room you ascend, passing under the rafters, noting stray roller skates and flickering clips of Charlie Chaplin; the overlapping voices are underscored by an ominous aeroplane drone and suggestive of suspicions hissed over back garden fences, the twitch of the curtain. We plan to turn what we made into some kind of digital experience over the summer, so that more people can discover the stories we brought life to. I am honoured to have been shortlisted for this prestigious prize for Scottish poets 30 and under. I just slipped under the barrier on both counts, it seems. The winner is announced at the Edinburgh Book Festival on 16th August. I will be there. The shortlisting is for the manuscript of my second collection (currently unpublished), Dark Islands. Last year I recorded some poems for the Poetry Library at the Southbank Centre. One of my own, and two in Anglo-Saxon! They are now going to be part of an audio installation as part of Poetry International Festival. It’s free, so do drop by. My publishing / performance company Penned in the Margins received some wonderful news. We have been selected as an Arts Council NPO (National Portfolio Organisation) for 2015-18. After almost ten years of precarious labour at the arts coal face, this gives us three years of relative stability with which to stabilise the ship, raise our game, and ensure that we have the grounding to build for the future. Chivers’ Flood Drain speaks in many voices: some are beautiful, some are demotic and, pulled together, they achieve a confluence, like the Humber and the Hull, like the past and the present. Very different from the ambitious Medieval allegorical world of Langland’s dream poem this witty and intelligent take on industrial drainage in the twenty-first century has no qualms about playing with sounds and inferences. 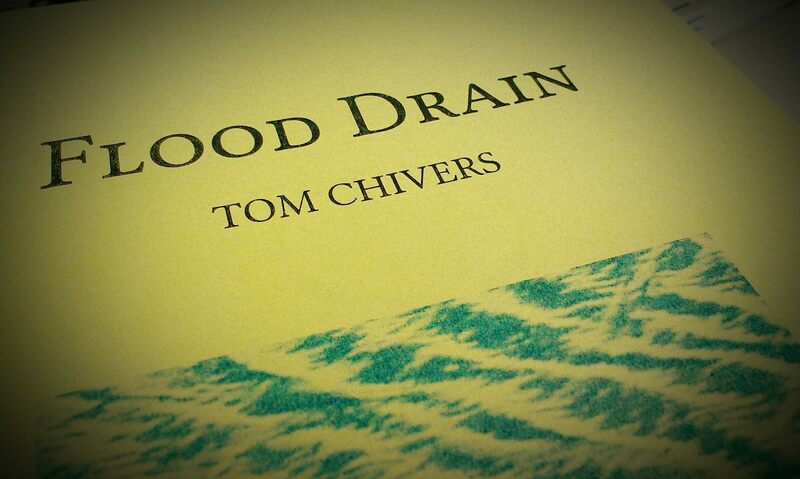 Flood Drain is out now from Annexe Press, in a limited edition risograph pamphlet, priced £4. Details here.